An accounting firm, DNS Accountants, was started in 2005 keeping in mind the need of tax saving and basic accounting services for the small businesses and new business start-ups in the UK. Started by a single person in his bedroom, the practice found a physical location in 2007 with a 2 people staff and since then had come a long way to become one of the top Accounting Firms in the country. We have been nominated for 4 awards in The British Accountancy Awards 2013; Independent Firm of the Year South East England; Accounting Technician of the Year; Online Accountant of the Year and Client Software Product of the Year award. We became a Become an IPSE Accredited Accountant in 2015. Our team of experts is all well qualified and specialist in their field of choice. We provide overall expansion and advancement of businesses of our clients in each and every possible way with the help of some of the best small business accountants in Peterborough and nearby areas. For this, we have an excellent team of well equipped, accredited and qualified accountants from esteemed institutions. Our accountants provide their expert advice in various fields of accounts organizing and tax efficient solutions. We also take utmost care of your fund management, accounting needs, corporate financial services both efficiently and promptly so that you do not have any issues related to your accounts. Starting a new business is like giving birth to a kid. Taking care of all the necessities and still involuntarily omitting out a few. A mother sometimes needs a fellow participant (could be the husband or her mother-in-law) in bringing up the child while still taking good care of herself and not neglecting herself in the process. That’s exactly what we do at DNS (but in a different context altogether). The very basic accounting services like managing finances, incoming and outgoing funds, and all other kinds of balance sheet maintenance and most importantly, advice for paying the right kind of tax as per your tax slab and never putting you in deep waters. DNS is a partner of the Business Growth Initiative, and hence, all our clients directly get free access to the world’s largest business growth systems. The Business Growth Initiative looks at the increasing the growth of fresh start-ups in a bid to subsequently improve the economy. We offer all our clients, a designated accounts manager that will not only advise you on the right and wrong but at the same time keep caution in case you omit something essential or deadline. DNS software comes with built-in CRM system to manage and grow clients. Bookkeeping is easy, and our mobile app gives full financial control from anywhere. The latest software and updated skills of professionals at DNS qualify for the high quality work we offer. We take extreme care to manage your taxes with our skilled Tax Accountants in Peterborough in a way that helps you reduce the taxes and enjoy greater benefits. Two of the most important services provided at DNS are tax services and tax planning. Arranging financial sources, loan repayment, assessing liabilities and assets for a company, guidance on investments are just a glimpse of services provided at DNS. 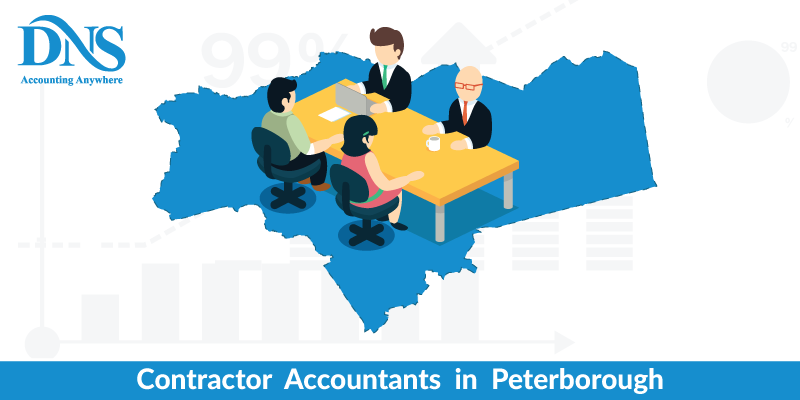 DNS Accountants have a host of chartered accountants in Peterborough specializing in taxation, auditing, financial budgeting and management, company marketing, financial analysis and business accounts. We provide you with the right kind of personnel o to assist you with the improvement of the financial position of your business organization. Small businesses often find it illogical to employ a separate accounting firm to manage their accounts thinking that what kind of accounting firm would manage their finances at such small scale. But at DNS, we offer a comprehensive range of small businesses services that are essential for growth and also help sustain them in cases of inflation or recession. We offer growth forecasts, finance resources, guidance for correct repayment and step by step analysis on each and every financial step ahead. We offer VAT and payroll services that set aside the very essential yet strenuous task of filing returns. At DNS, we understand that some terms and taxes are foreign to people from non-accounting backgrounds. Keeping this in mind, we take up the entire registration process as well as successive VAT filing. DNS will help your business come to a decision about whether to register for VAT. DNS will ensure you never face a penalty for late submission, inaccuracy, or late payment. Since we want every type of business to enjoy the benefits of our superior quality services, we have kept the prices for the service quite reasonable. Management Accounts reflect the quality of work the firm has been doing. Managing accounts for a business start-up or small business requires an in-depth analysis of all the processes that go on in a firm. And again, we do that for you. No questions asked. We look after the following aspects in your firm and make sure they don’t go awry. DNS aims to transform the accounting scene in the country and as such we are extending our aforementioned services at Yaxley, Whittlesey, Stilton, Crowland, Cambridge, Northampton and Stanmore as well. .